The Long Version: I want to call them Greyhound Bus Lines, but like Bono, Cher, and Liberace, they seem to be going by only one name these days. 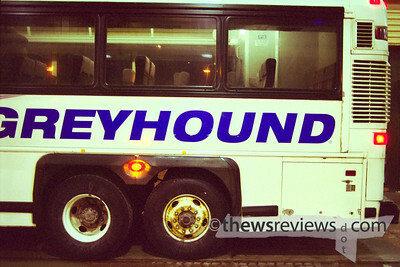 So just to be clear, this is a review of the transportation company, not the dogs. I like the dogs, and may have one someday, but for now I'm just looking at the buses. 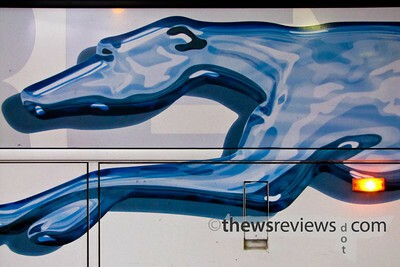 One of the most amazing things is that Greyhound goes almost everywhere. The idea of the photographer's road trips appeals to me, and since I'm not much of a driver, I need to find other transportation. The train hardly goes anywhere useful, and flying is far too much hassle to do for fun. And in the spirit that the journey is part of the trip, instead of an inconvenience to fast-forward through, there's something very earthy about getting there by bus. 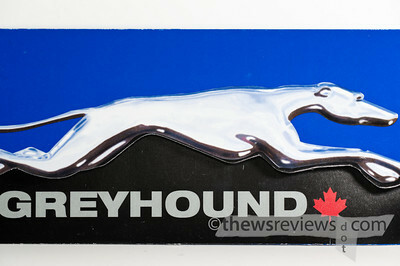 And Greyhound is synonymous with buses in a very fundamental way. So when a city or town piques my interest, Greyhound's tickets page is the first place I look. I know that I can get from Toronto to Moncton, New Brunswick, in about a day with four transfers. That's where my Nikon F100 lived before I adopted it. A day is also enough to get me to Roanoake, Virgina, which is mentioned in a catchy song (@3:02). Even if I never go to any of these places, it's nice to know that I can. I could leave tonight and be in Kalamazoo, Michigan, for lunch. How cool is that? Yes, the world is full of potential, but the reality is a bit different. The seats are small and inevitably become uncomfortable: there's a reason why airlines call their cheapest, most confining seats 'coach' class. The window seat's claustrophobic and the aisle means being bumped and having nowhere to lean. Unlike a train, getting up to walk and stretch isn't a realistic option, and the rest-stop bathrooms start to seem like a blessing. Unlike a plane, the three hours you'd spend being scanned, poked, and waiting in rows are spent swaying from side to side. Okay, so maybe that's not a bad thing, but my point is that a full bus can feel like a holding cell and sound like a high-school cafeteria. Even the comparatively short six-hour jaunt to Ottawa is something that I'm only thinking of fondly now that time has dulled the actual experience of feeling uncomfortable, crowded, restless, and bored. I haven't had this level of self-imposed experiential revisionism since I saw the movie Magnolia, and for much the same reason. It's been a decade, and now I think I actually liked Tom Cruise in it, and I'd be okay with renting it some time. Ottawa was two months ago, so maybe I'll do Chicago in the spring. My longest trip was a one-way from Omaha, Nebraska, to Toronto. It was over thirty hours, but I was exhausted and slept most of the way. I took some photos at one of the transfer points, and always need to dig up my old itinerary sheet to see what city I was in. A blur, to say the least. I was invariably in a window seat, and usually had the pair to myself, but occasionally I'd wake up to find someone new sitting with me. Later they'd be gone, and I wouldn't remember them leaving. I do remember that the Omaha bus terminal was right next to the jail, and it seemed like most of the dodgiest individuals in the station were taking the same bus that I was. Someone once compared taking a train into a city as being like entering a house through the basement: you see all the industrial, utility, and storage areas instead of the presentable facade. Bus stations can take that and throw in some elements of a backpacker's convention as well. 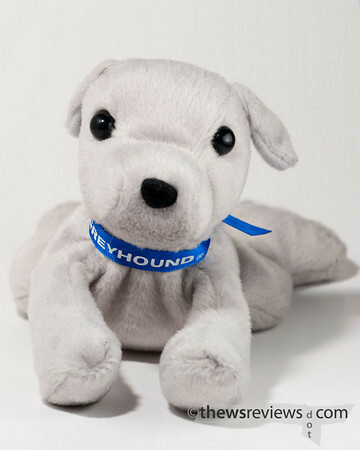 A more practical and common Greyhound trip for me is short intercity hops to visit family; two round-trips aren't any more expensive than renting a car for a day, and there's less time pressure. The stations that are downtown are a real plus for me, despite my Nebraska experience, since it's where I live and it's where I want to be when I visit. There's no hassle with luggage, and I know it's handled reasonably well even if there aren't any claim tickets when it's pulled out at its destination. Pretty much everyone there is on the road for functional and practical reasons, and problems are very rare. Despite all of the negatives, it's still a cheap and interesting way to travel. If I have enough time to get there on the ground then I'd rather not fly; if there's no train then I'm happy enough to take the bus. But I reserve the right to update this review when I get back from Chicago.